Born in 1731, Richard Neave, the eldest son of James Neave of Walthamstow and London, had made his fortune trading (including slaves) in the West Indies and America. At various times he was chairman of the Ramsgate Harbour Trust, the West Indian Merchants and of the London Dock Company, as well as a director of the Hudson’s Bay Company. In 1780 he was appointed Governor of the Bank of England, (a position also held by his grandson Sheffield Neave in 1851). The purchase of Dagnams in 1772 marked the beginning of Richard Neaves' transition from merchant to country gentleman. 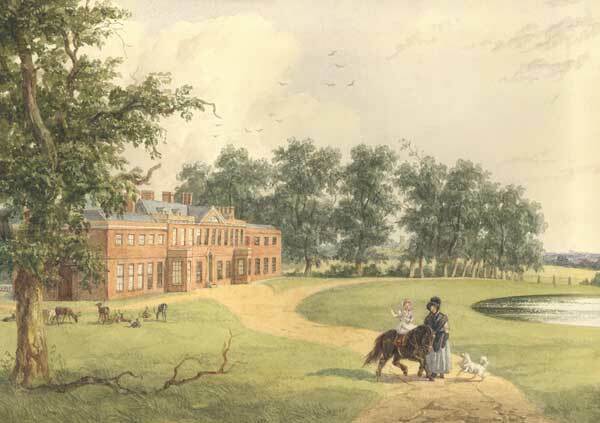 At this time he was the tenant of the Bower House at Havering-atte-Bower where he remained until 1776. 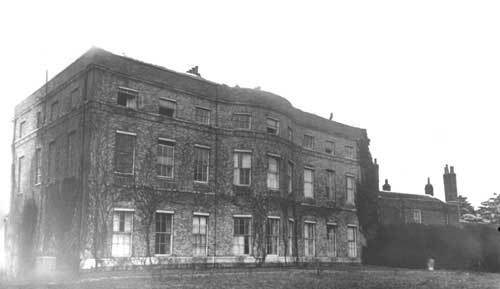 The intervening four years saw the house that was once visited by Pepys, pulled down and the Georgian mansion, which stood until 1950, erected in its place. 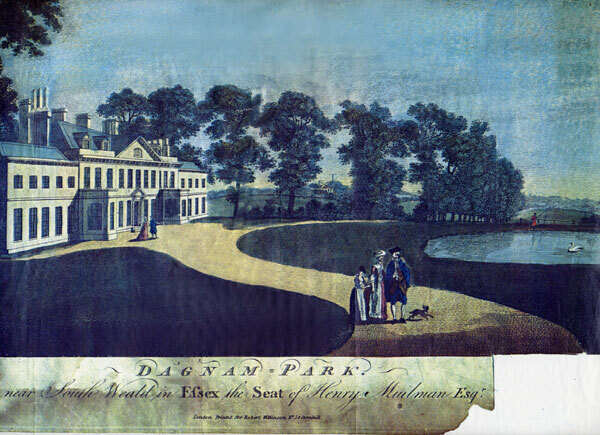 Richard Neave further established his position among the local gentry with a land purchase policy, begun in 1785 and continued by his successors throughout the next century, which saw the Dagnam Park estate swell to 1,600 acres. Richard Neaves' social ambitions were realised with his appointment as High Sheriff of Essex in 1794 and more importantly in 1795 when he was created a baronet. He died in 1814 and was succeeded by his son Sir Thomas. 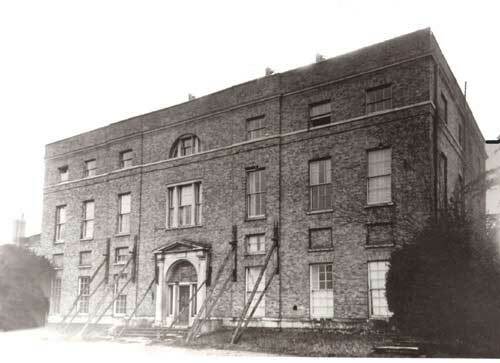 Sir Thomas's additions to the Neave estate included the Bear public house bought in 1820 and the Manor of Gooshays in 1829. He was Steward of the Liberty of Havering-atte-Bower in 1806 and 1809 and a magistrate under the charter of the Liberty in 1826 and 1828. 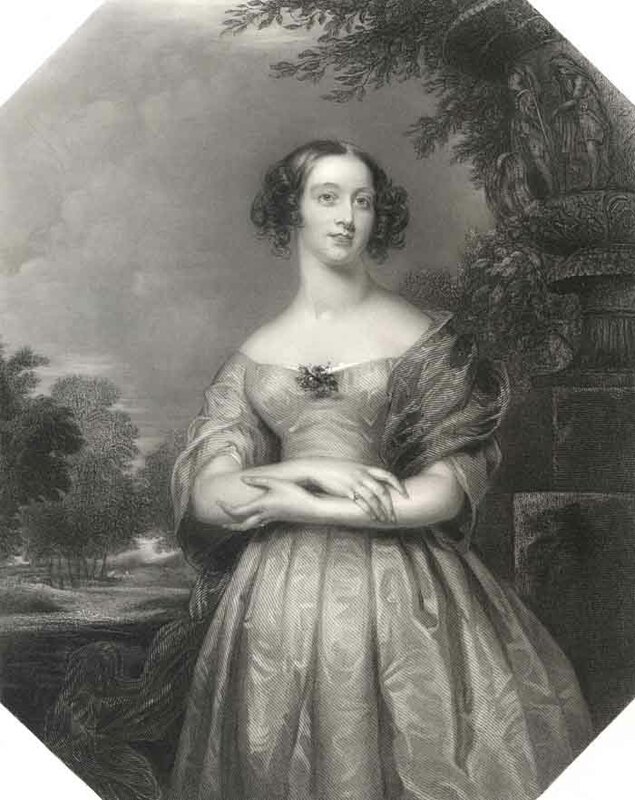 Neave was appointed sheriff of Essex in 1828. The Church of St. Thomas and the Priory were both built for Sir Thomas in the 1840’s. The school at Noak Hill, built by subscription and government grant opened in 1848 - the year Sir Thomas died. Editors Note. 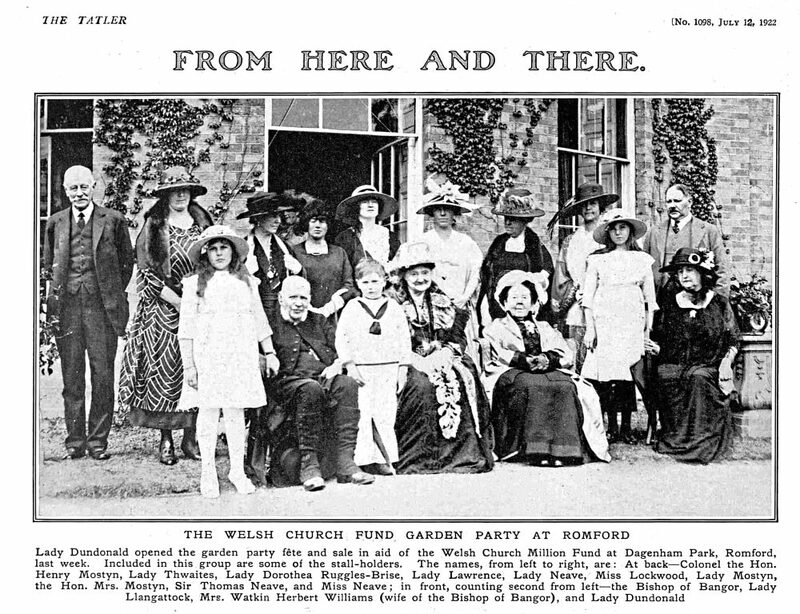 It is interesting to note that the Neaves' were happy to pay for and build a church for the people of Noak Hill yet the school had to be built by subscription and government grant some seven years later. An interesting insight into the Neave's priorities at the time. The enlarged plan left shows Dagnams in 1919. 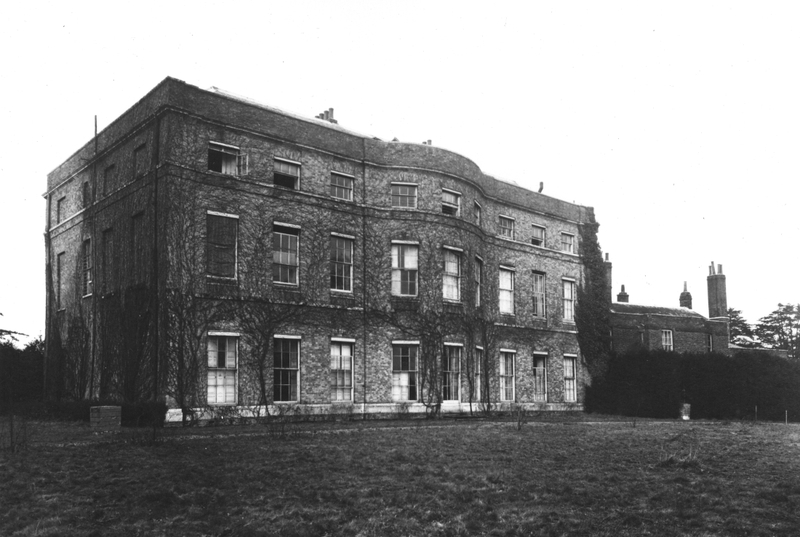 Below that are two photographs taken in about 1949, The first taken from the direction of the yellow arrow shows the front of the building facing the Priory across the fields. The props were necessary as a result of V2 rocket damage. 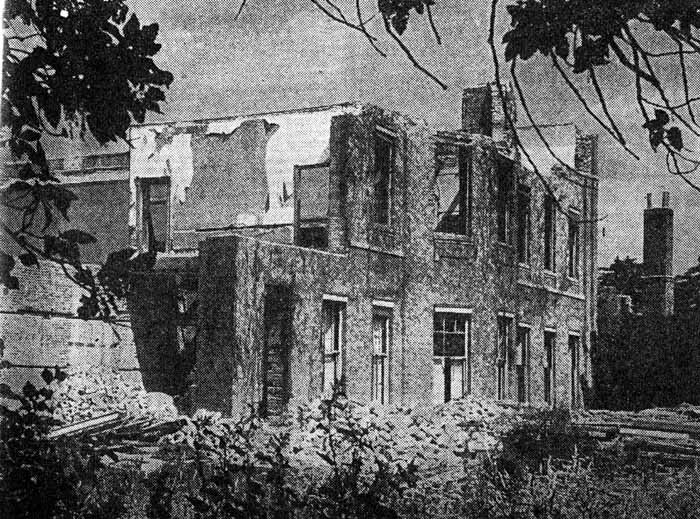 The second photograph shows rear of the building from the direction of the green arrow. 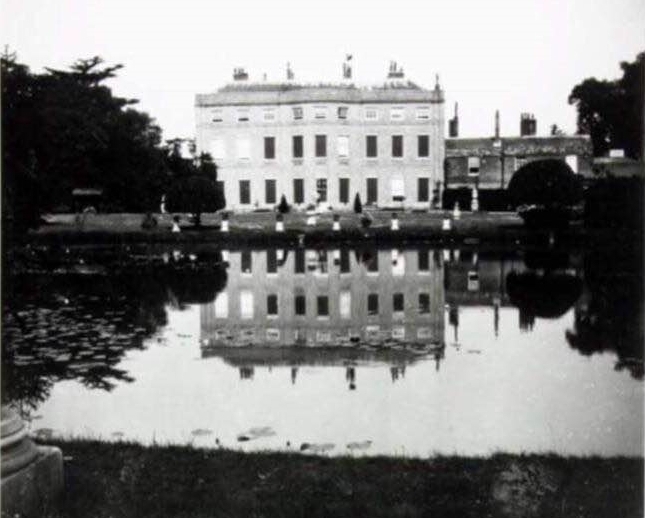 The huge sash window in the middle bay opened to allow access to the lawns and the Lily pond. 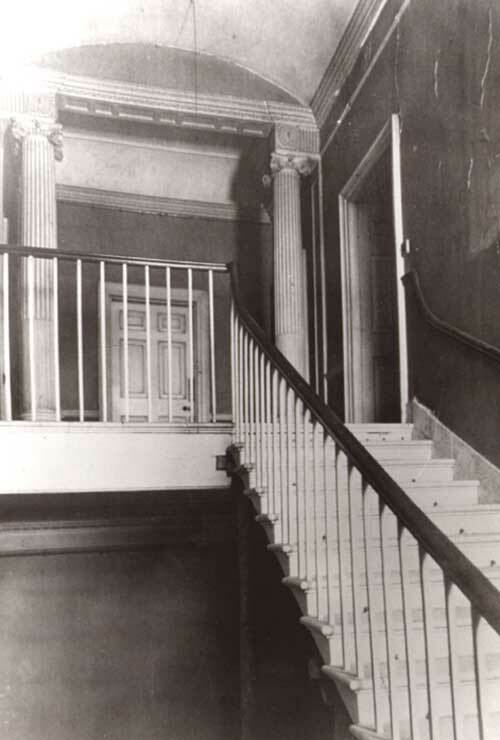 The last picture of the three shows the main staircase as seen from just inside the front doors. Just like home, er? Up until the late sixties a giant Holm Oak stood in the grounds close to the mansion. 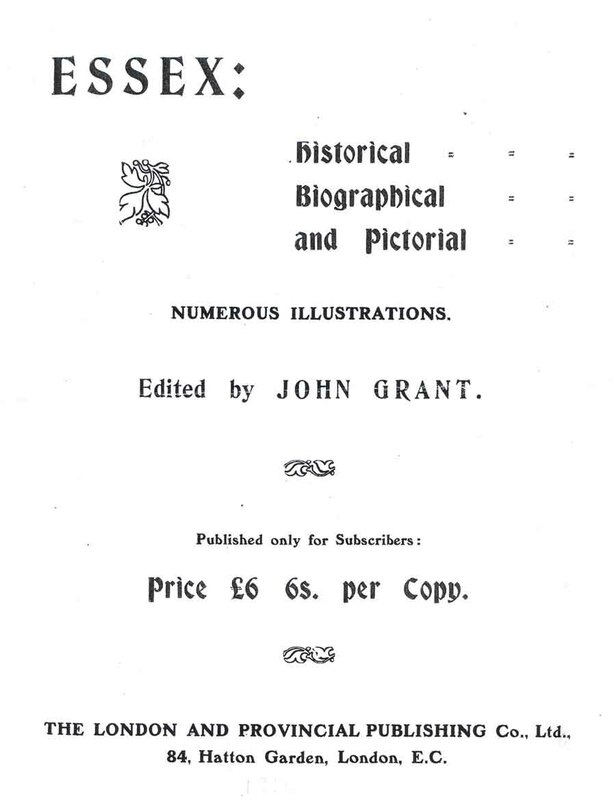 Visit the Holm Oak page. Dagnams, front, click image for enlargement. Dagnams, rear, click image for enlargement. Thanks to Jo Gregory for bringing this photo to our attention. It is dated 1911. Exciting new images, discovered online at Flickr by Don Tait. We are grateful to Granpic for sharing these photographs and supplying the descriptive text below. These roundels were removed from Dagnams at the time of demolition in 1950. Their whereabouts between 1950 and 1970 is uncertain. The three roundels below can be seen at the very bottom of the east window in the fourth picture of the set. You can view the St Thomas's, Noak Hill stained glass here. Roundels at St Peter's church, Nowton, Suffolk. Nowton is a small Suffolk hamlet with a church full of stained glass treasures. There are 84 roundels in all, mostly from the 16th and 17th centuries , which were collected by a Colonel Rushbrooke in the early 19th century and sold to local landowner Orbell Ray Oakes who installed them in St Peter's in 1820. 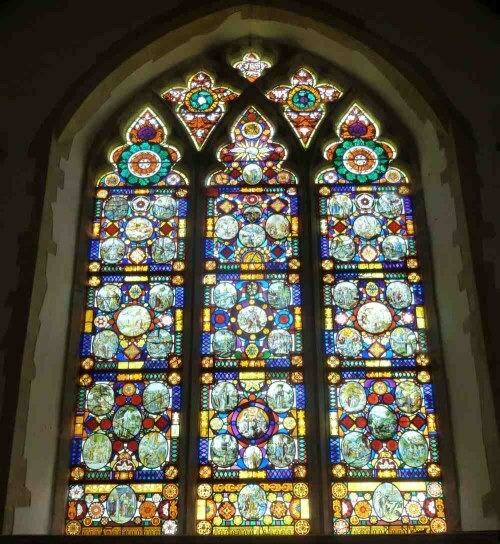 In the 1970s three further roundels were added to the East window by glassmaker Dennis King of Norwich. These have a different history, for they came from Dagnam Park after the mansion was demolished. They appear to be part of a series which shows the progression of the Easter story from Gethsemane to Golgotha and are remarkably similar in style and colouring to the lights covering different episodes of the same story in the glass at St Thomas's, Noak Hill. 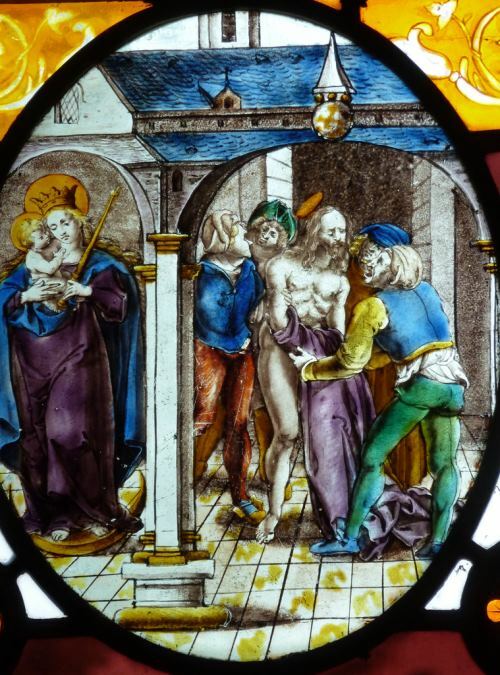 The Nowton roundels were described by William Cole in, 'A description of the Netherlandish glass in the church of St Peter, Nowton', published in 'Crown & Glory' ( Editor Peter Moore). Norwich. 1982. Cole identified all three of the roundels pictured as 17th century Flemish work. The first roundel shows the disrobing of Christ below a courtyard arch, while the Virgin and Child can be glimsped through a second arch on the left. 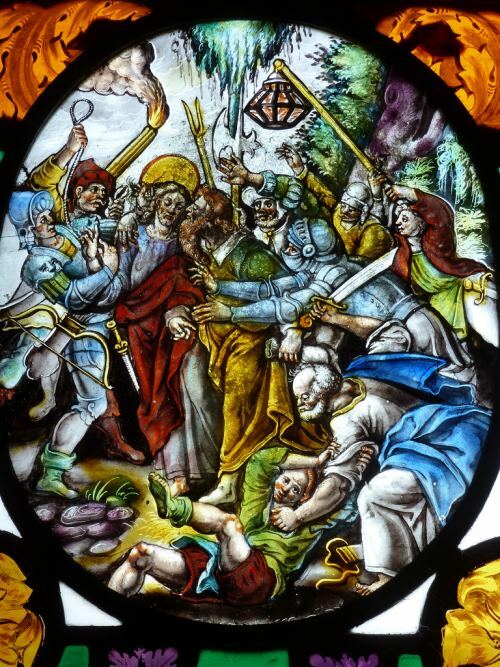 The second roundel ( placed out of sequence in the Nowton window) is a dramatic depiction of the Betrayal of Christ in the Garden of Gethsemane, with Judas delivering the traitor's kiss and Peter striking Malchus with his sword in the right foreground. Cole mentions that there is a very similar illustration in the Bijloke Museum ( now the Archeological Museum) in an old Cistercian abbey in Ghent. 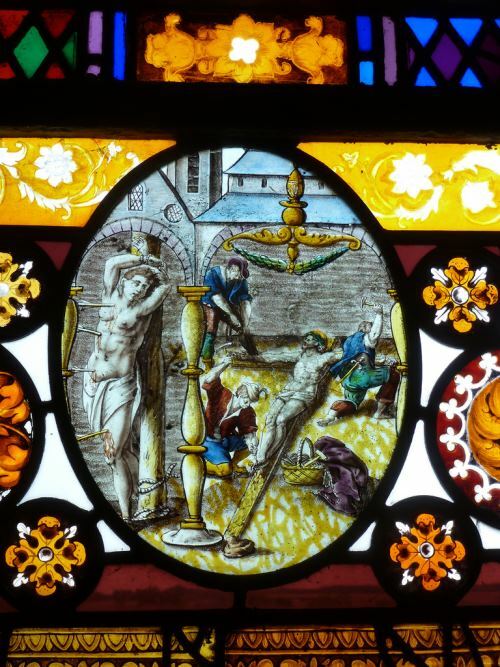 The third roundel shows the Nailing of Christ to the Cross, again set in a courtyard and again there is a scene within a scene, as St Sebastian and his martyrdom by arrows is shown beneath an arch on the left. This mansion depicted below existed at the same site as the one above. It is the building that Samuel Pepys visited in 1665. 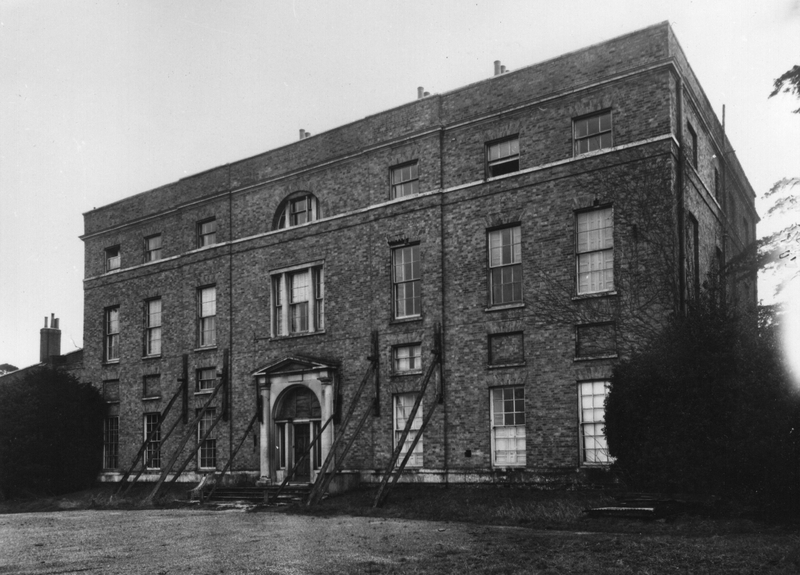 This building faced the Lily pond as opposed to the Richard Neave building which faced away from the pond. The water colour is from the Georgian Group's Pardoe collection, to the left is an engraving which looks like it may well have been taken from the water colour original. This work was commisioned by Henry Muilman, he lived in Dagnams for about twenty years up until it was sold to Richard Neave in 1772. Note the fisherman in red, nothing really changes, the mansion has gone, the fine elms are no more, but the Brookside Angling Club continues the tradition. 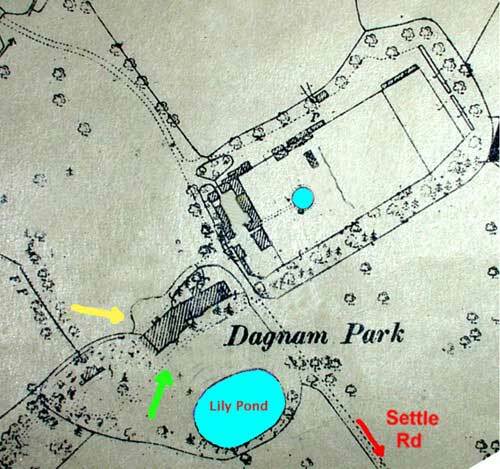 Return to "Guide to Dagnam Park"